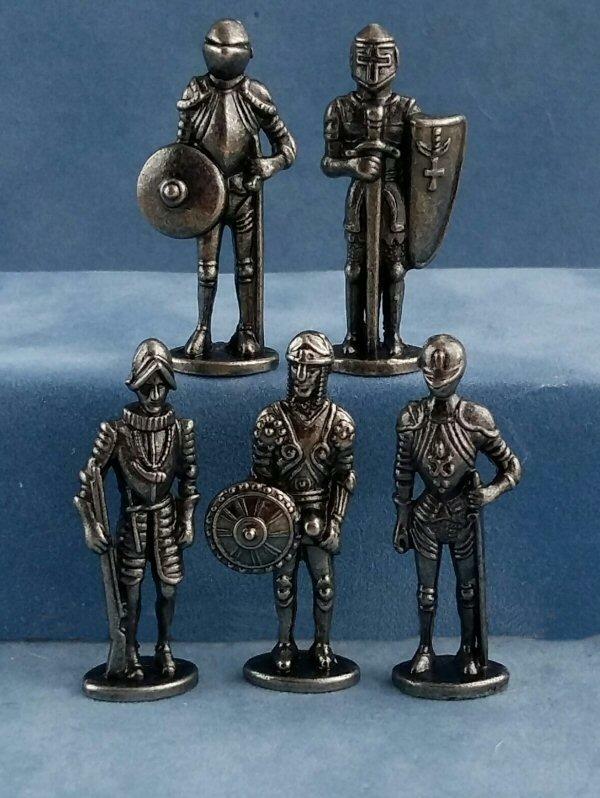 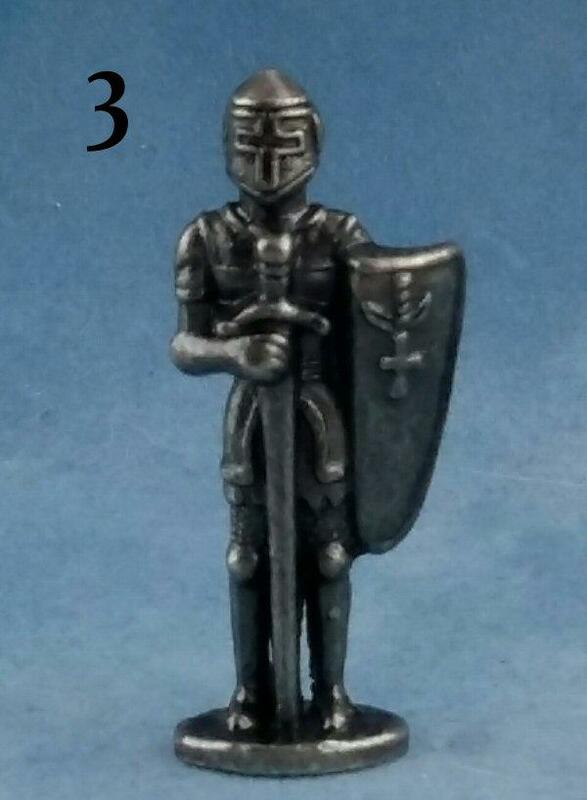 Five different pewter 1/48th scale knights in suits of armour. 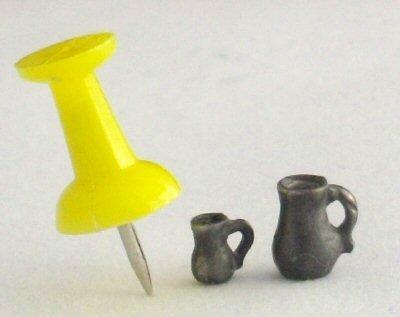 Display them in your miniature castle or Tudor dolls house. 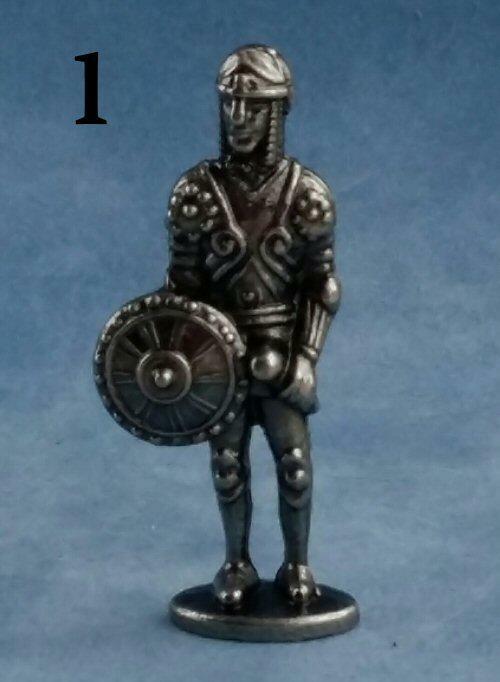 Each one is approx. 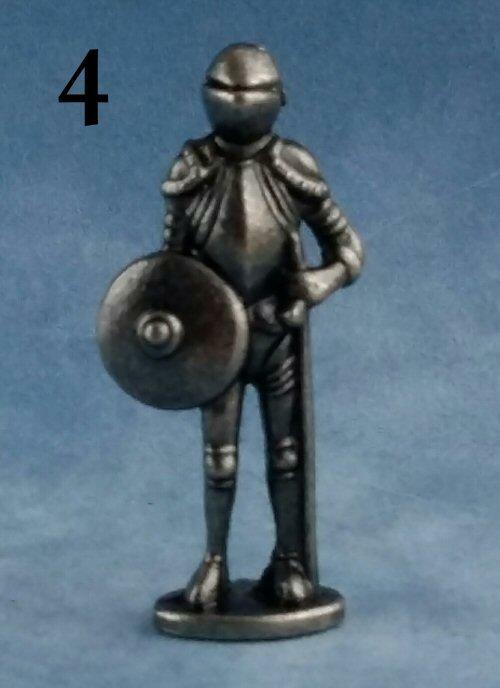 40mm (a little over 1.5") including base. 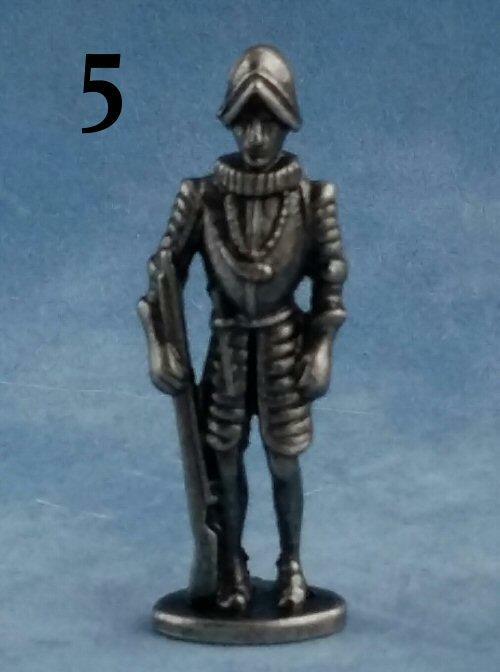 SALE Knights 1 and 5 are reduced in price. 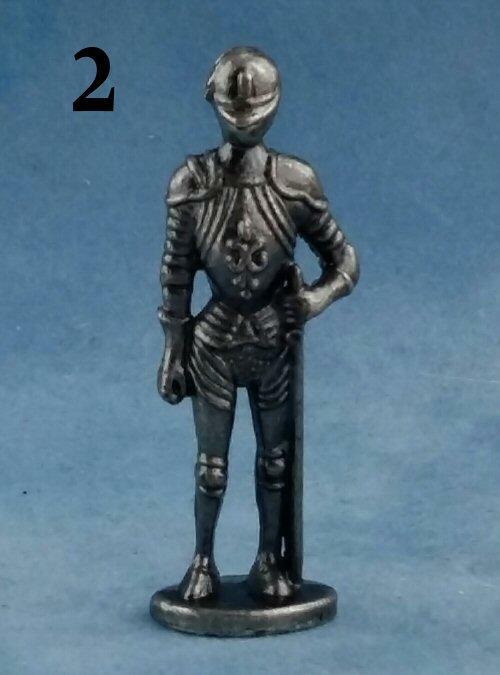 These two are not as popular as the others and I have quite a few of them left, but, as they come in a set, I need them to go before ordering more.